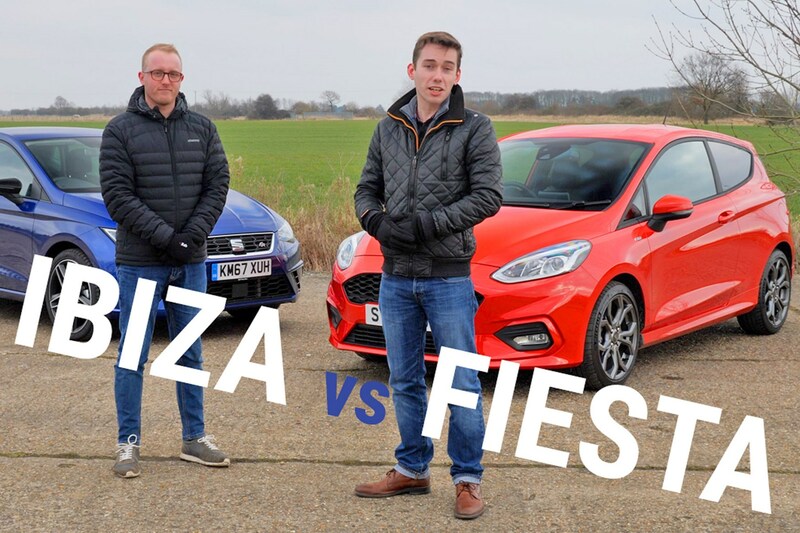 Can the SEAT Ibiza keep up? We all have a story about a Ford Fiesta. Whether it was your first car, your nan's car or the car you learned to drive in, you'd do well to not have experienced one in some way. Unsurprisingly then, it's the UK's bestselling car and has been for several years on the trot. In 2017, a new and improved version was introduced in an attempt to keep up the tradition of being the most popular car on Britain's roads. In our full Ford Fiesta review, you can read why we think it's one of the finest superminis on sale. It doesn't have it all sewn up, though. Spanish company SEAT has really upped its game in recent years, and wants a piece of the Fiesta's success with its Ibiza. Also launched in 2017, it boasts a sharp look, grown-up interior and a mature driving experience, plus it's temptingly affordable - especially on PCP finance. We certainly think it's impressive, walking away with the Best First Car crown in the 2018 Parkers New Car Awards. You can read our full SEAT Ibiza review to see why it's an award-winner. Click the links above to compare the specs of the two cars, and watch the video at the top of this page to see how they stack up in terms of how they drive, what the interiors are like and how practical they are. More importantly, watch to find out which one is the winner and which we think should be sitting on your driveway.